After much internal struggle and trying to figure out what soaps I will need in the near future, I decided to go with the "Mineral Autumn" color palette. 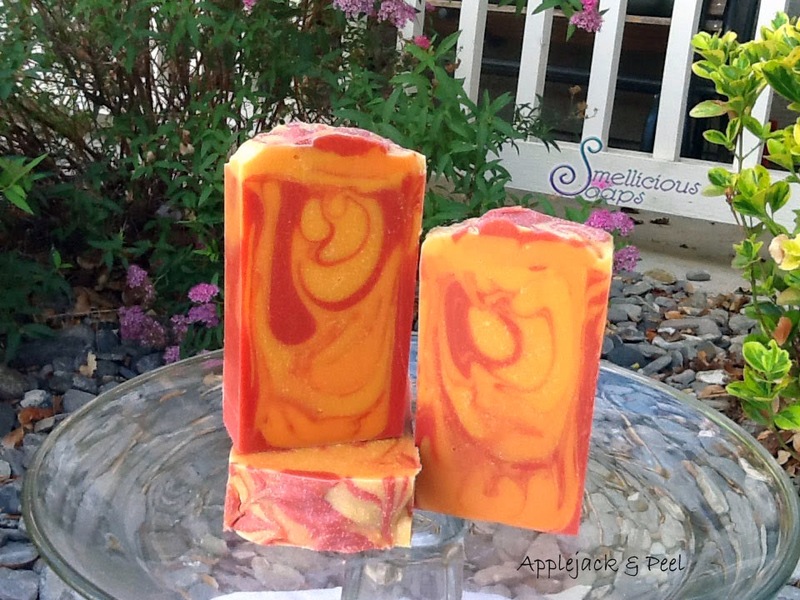 I also chose to scent this soap in Applejack & Peel to go with the colors I selected from the palette. I decided to go with orange, red, and yellow. Added some snow glitter... pretty! Last, but not least.. here is a picture of the soap loaf unmolded and read for cutting and then the final product in my front yard in natural light. Looks kind of like fire doesn't it? Probably the prettiest soap I've made and it smells fabulous. A great first edition for my fall line. Thank you all for joining me on this color challenge journey. I welcome questions if you have any. Best of luck to all entrants. 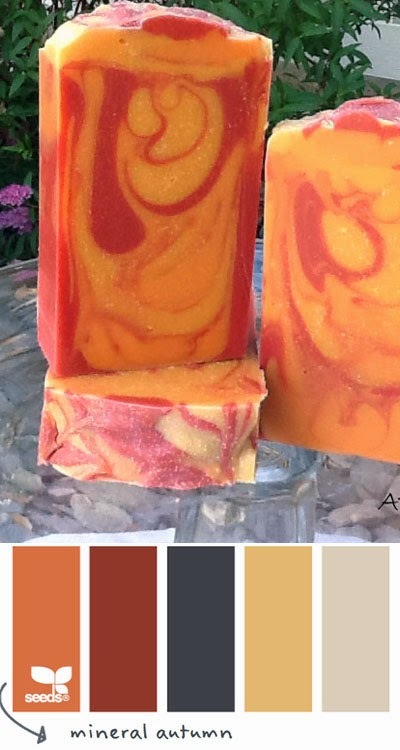 I had so much fun making this soap and trying hard to match the color swatch. I may not have the best eye for color matching, but I think I did a bang up job with only one try and also working with the colors I already had. Gorgeous - a really good interpretation of the colour palette! Love the texture of the top too. Pretty! You have my vote Shannon! The swirl is gorgeous and the scent sound very good -- I wish I could smell it! Thank you!! I love this fragrance. Thank you very much! I've soaped this one about 3 times now, and every time I forget how well behaved it is and expect it to accelerate but it doesn't. Not even a little bit. It smells spicy so you'd think it would. Very pretty. You are right this will be a great autumn soap. Great job! You soap turned out awesome!!! What a gorgeous warm spicy looking soap! I love Applejack Peel but my version also always accelerates so I hardly ever get to use it. It is the perfect scent for this soap!